When Jim and Roberta first went to Bonaire as full time staff back on May 1, 1984, their daughter Allison was only 9 months old. During their almost 13 years of service there, Heather (1985), Melanie (1988) and the twins, Amy and Stephen (1991) were born. After a short stint in Venezuela in late 1996, the Hills were asked by TWR (Trans World Radio) to relocate to Bratislava, Slovakia where they served from January 1998 until August 2008. 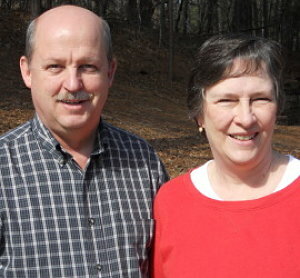 Jim and Roberta then moved to New York as TWR missionaries in residence at Houghton College until November 2010. The Hills then relocated to TWR’s Cary, NC office where Jim serves as the LinguaDMS administrator for the Americas region. In every location they have served with TWR, the Hills have always been engaged in helping people to hear the good news of Jesus Christ in their native language.